This topic contains 2 replies, has 2 voices, and was last updated by Ian August 1 year, 6 months ago. The submissions we received were of a very high quality, and showed us that digital humanities work among graduate students in New York City is robust and full of promise. 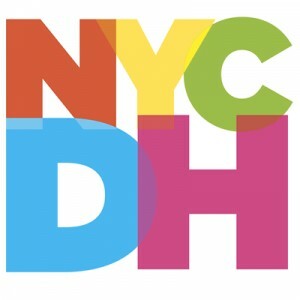 Although we could only give out three cash prizes and one honorable mention, NYCDH is dedicated to supporting the DH work of NYC graduate students by offering DH programming, training opportunities, collaborations, and guidance throughout the year. Awarded annually, the award committee solicits proposals over the summer. The proposals are judged by a group selected from the NYCDH Steering Committee, and the winners are chosen based on their intellectual contribution, innovative use of technology, and the clarity of their work plan. The New York City Digital Humanities group brings together New York City scholars and members of the GLAM (galleries, libraries, archives, museums) community to talk about, experiment with, collaborate on, teach and learn about, and just generally commune around the digital humanities. Our apologies to David for the omission, and congratulations to all of the recipients! I would love to view these projects. Do you have links? I did a quick google search for two of them, and did not find anything.